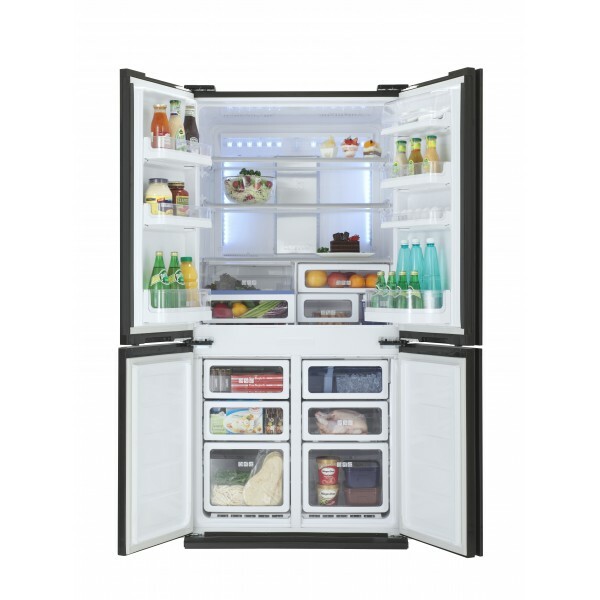 This model features Sharp’s exclusive Plasmacluster Technology, which inactivates suspended airborne mold and virus, keeping your refrigerator clean. When cold air passes through the Ag+ Silver Nano Deodorizer, then silver nano ions suppress the viruses and germs and remove odor. This keeps the refrigerator fresh and clean. Energy Saving Mode - the temperature inside the refrigerator and freezer compartment will be higher than the preset temperature by about 1-2˚C. You may select this mode to aviod power consumption. Vacation Mode - save energy which aviod food deterioration during holiday by turning off the power. Express Freezing Mode - speeds up the freezing time for food, while this extends the life of food and retains their freshness. - Make ice for any occasion in a choice of four different styles, enabling you to operate with different needs. - Ice tray cleaning mode is equipped to clean the ice tray and the pipe to ensure every ice cube is pure and clear. Cool air is applied on the stainless panel to regulate the temperature so that the cool air is gentle to the food. The panel helps to maintain optimal levels of humidity and cooling. This indirect, rear-generated cooling design prevents dryness and excessive or uneven cooling, as well as preserve food freshness. 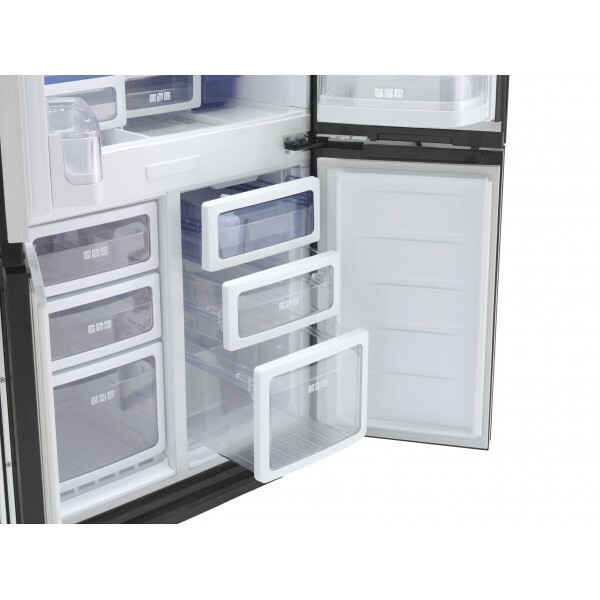 Temperature in refrigerator and freezer compartments can be controlled seperately to maintain the freshness of food. The stylish and user friendly design provide you easy control of the function and temperature, as well as check the refrigerator's status from the door easily. The tempered glass shelves can tolerate weight of even heavy foods in 100kg. Door alarm will sound momentarily if the door is left open for 1 minute. This help to ensure the food is always in a fresh and hygienic condition, while avoiding unnecessary power consumption. Key operation of the control panel will be locked to prevent children from children from playing the control panel. This Model uses LED light bulbs instead of normal light bulbs. LED light bulbs can save more energy than the normal ones. They have longer useful life. SHARP cares customers all the times, all series of refrigerator offers five years warranty service, enabling you to satisfy with our products. Awarded the Grade 1 Energy Label from EMSD, that reduce power consumption and emission of greenhouse gases, helps you to start a more eco-friendly way of life.